Who knew mashed cauliflower could taste so good? A perfect alternative to potatoes for anyone looking for a little variety or trying to avoid nightshades. Guess what? I sometimes miss mashed potatoes. Let me re-phrase that… I used to miss mashed potatoes. A few months ago, I discovered the magic of mashed CAULIFLOWER!! Have you ever tried it? It is amazing! I actually prefer the light creaminess of this recipe to regular mashed potatoes. Why Choose Cauliflower over Potatoes? According to some doctors like Mercola, cauliflower should be considered a superfood it has so many benefits for your heart, your brain and your digestion. It is an anti-inflammatory food. Many people choose the Paleo diet to fight inflammation and leaky gut so this food will help! It is AIP-compliant. 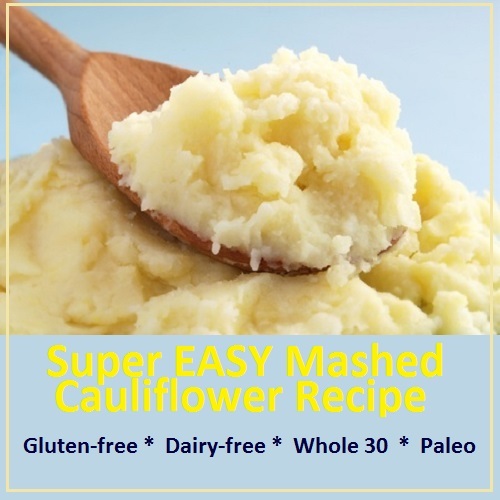 So even on one of the strictest versions of the Paleo diet, you can LOVE cauliflower mash! Chop cauliflower florets off the base of the vegetable (I use two heads of cauliflower so we’ll have some leftovers). Place in a steamer over boiling water, and steam until the cauliflower is soft (around 7 minutes). Drain, and dump florets into a high-powered blender (you can do this with a hand mixer, food processor, etc., but I really believe that the secret to the smooth results I get (see picture above) is my Vita-Mix Blender). If you want a little more variety, try adding additional gluten-free, dairy-free spices like garlic powder, onion powder and maybe even a little fresh parsley. It will make a tasty new side dish for some of you favorite proteins. This is gorgeous! I love cauliflower and I love mashed potatoes. However, this idea of using the Vitamix to get that creamy smooth consistency is a great idea. They look like real mashed potatoes. I have a head of cauliflower in the frig. I must try this, and soon! Thanks for the great idea. I made these last night using a bag of frozen cauliflower. Soooo delicious. Recently I mixed some french onion dip powder into sour cream, and then add some of that sour cream to mashed cauliflower and I thought it tasted pretty good. Next time, I’ll use your ideas here, namely, to use a blender (I have a nifty hand held blender), and I’d like to try it with just butter instead of sour cream. 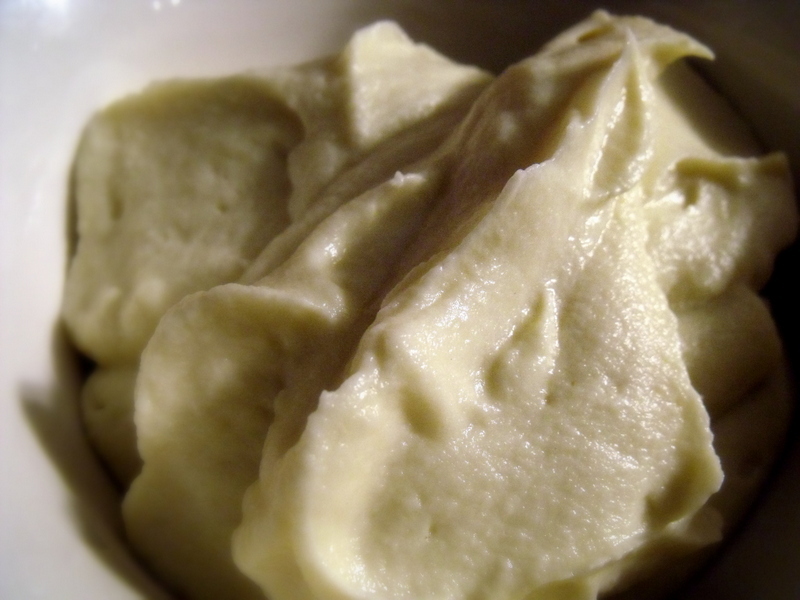 Your vitamix blender really does give it a smooth appearance; I really thought your picture was mashed potatoes. I also add some spices like Spike.